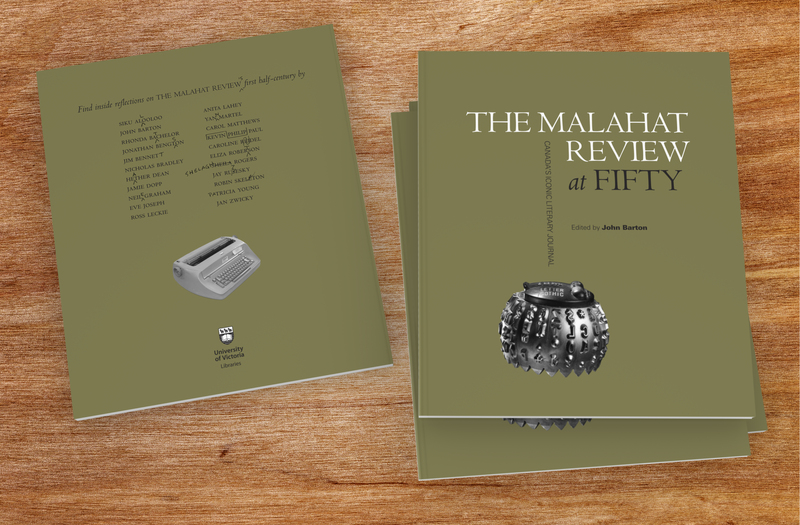 Vince Klassen and I worked in his studio to photograph the IBM Selectric typewriter ball for the front cover. The typewriter is still in the Malahat's office (although no longer in service): this is the same typewriter I used when I worked in the office as a work study student in the 1980s. 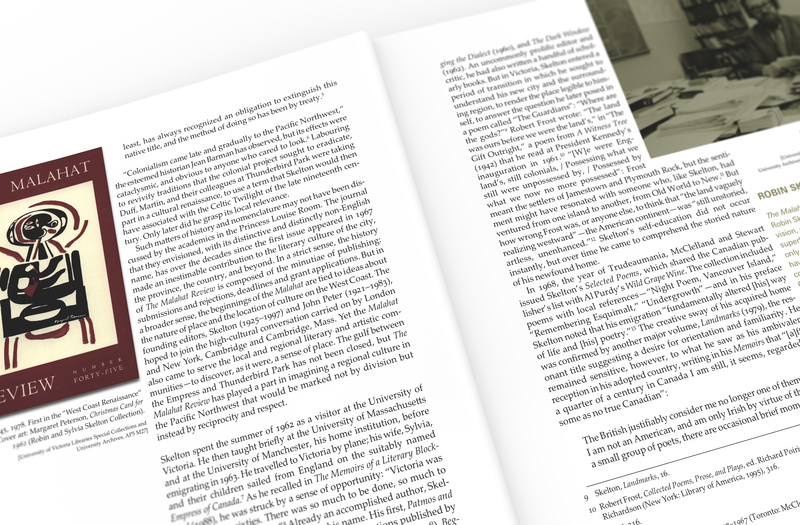 Glenmore used a Prizmafoil on the front and back cover images to produce a metallic sheen on the uncoated stock. John Barton, editor. 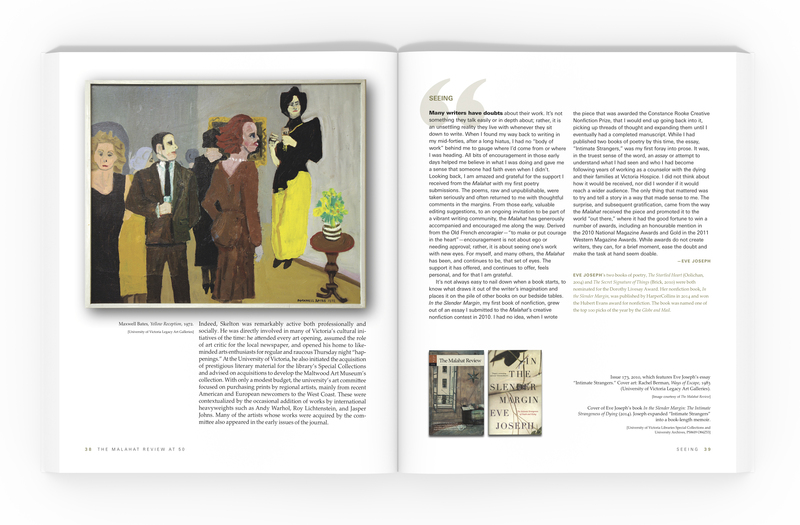 Christine Walde, series editor. Vince Klassen, photographer (front cover). Glenmore Custom Print + Packaging, printer. 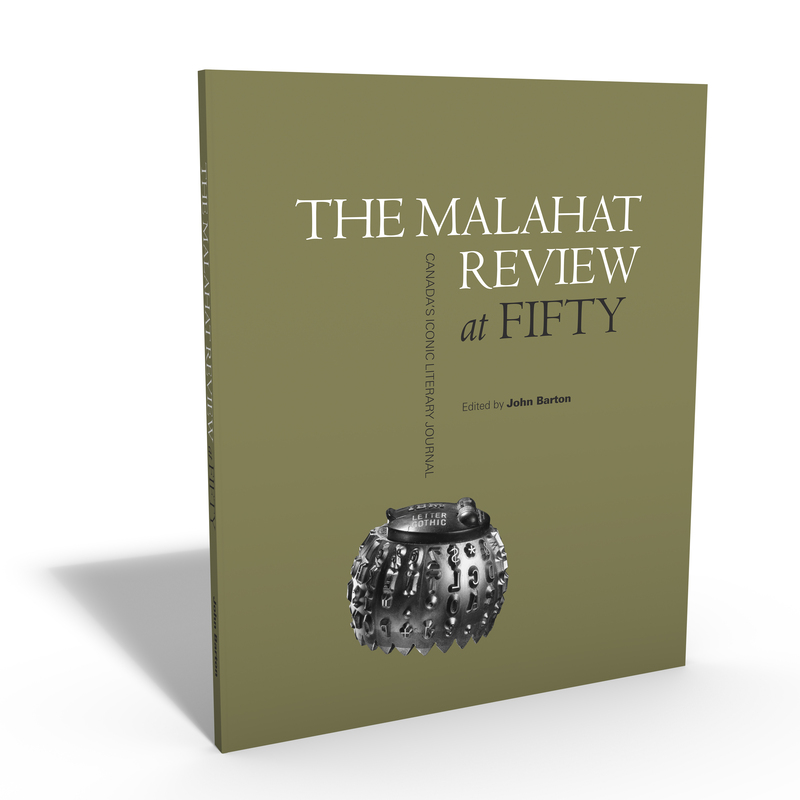 I have designed and laid out more than 50 issues of The Malahat Review, so it was an honour to be able to work again with John Barton (editor of The Malahat Review from 2004 – 2018) and Christine Walde (University of Victoria Libraries) on this limited-edition book commemorating the fiftieth anniversary of the magazine. 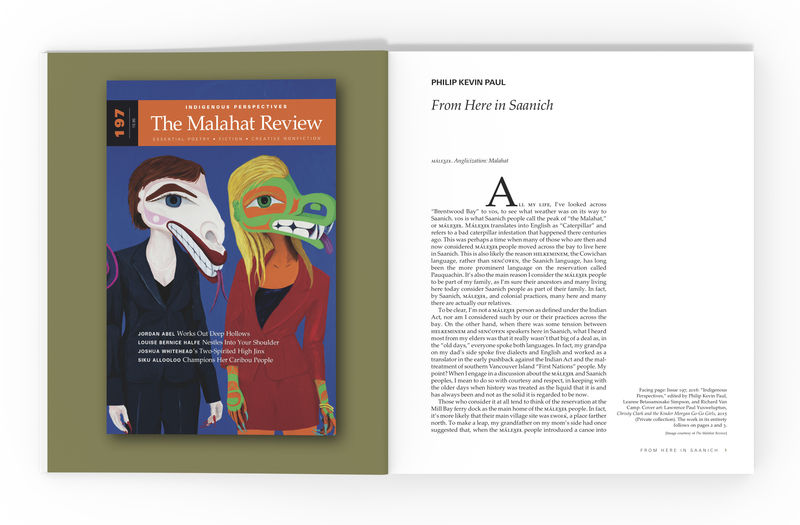 The Malahat Review at Fifty: Canada’s Iconic Literary Magazine (2018) features essays, critical commentaries, and memoirs from past and present editors, contributors, and editorial board members, as well as nationally prominent writers with long associations with the magazine. 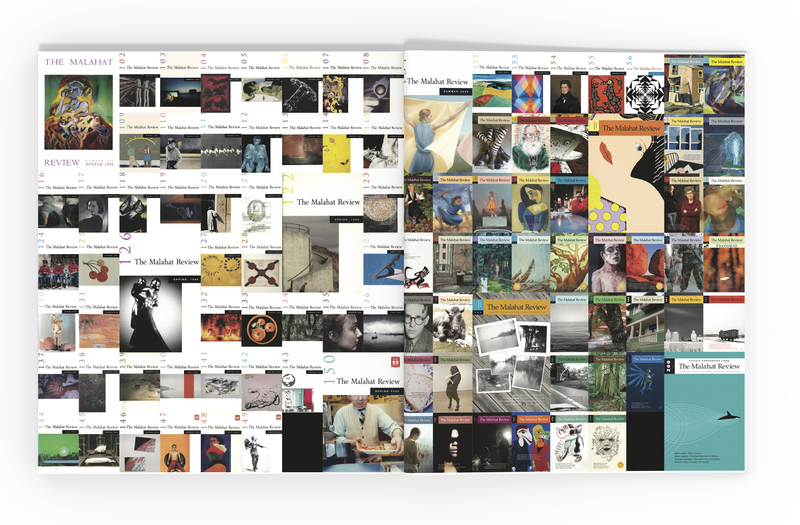 This special publication outlines the literary magazine’s fifty-year history, its role in the lives of Canadian writers, and its international legacy. Glenmore Custom Print + Packaging printed the book on their Heidelberg UV Press and applied an exclusive Prizmafoil® process on the covers to produce the metallic sheen on uncoated stock. 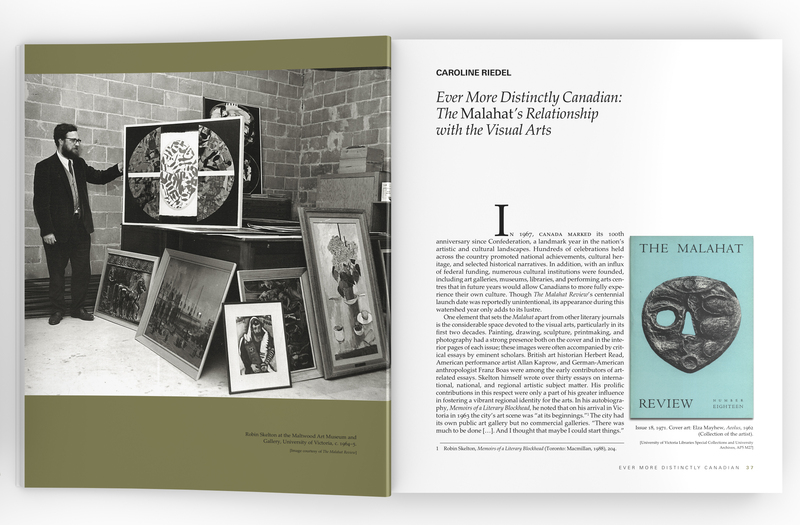 The book is featured on Domtar’s Blueline Gallery as an example of design and printing excellence using their Cougar and Lynx papers.